My quest for the R-12 award continues its steady march forward, and a permanent owned by our dear RBA, Rob Hawks, was next on the agenda. 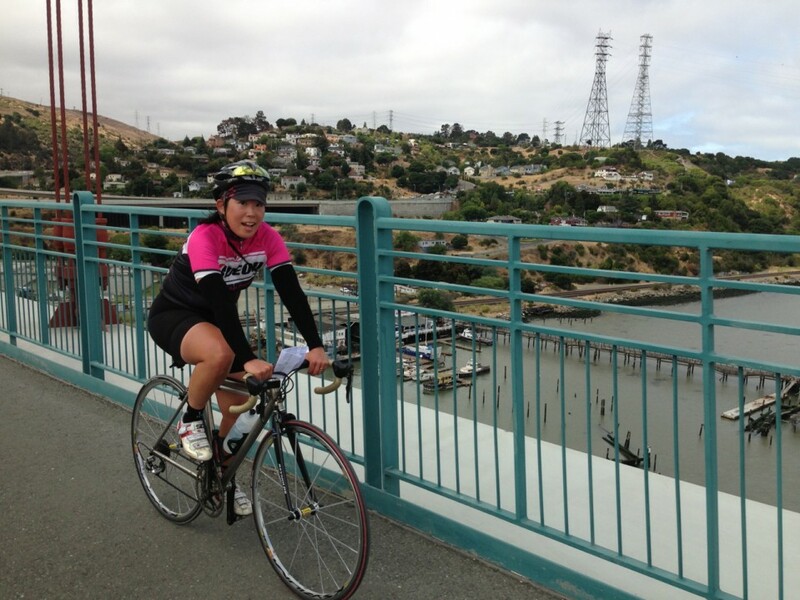 It’s a 131.7-mile route with approximately 6000 ft. of climbing and takes a circuitous route from El Cerrito in the East Bay northward to Davis. 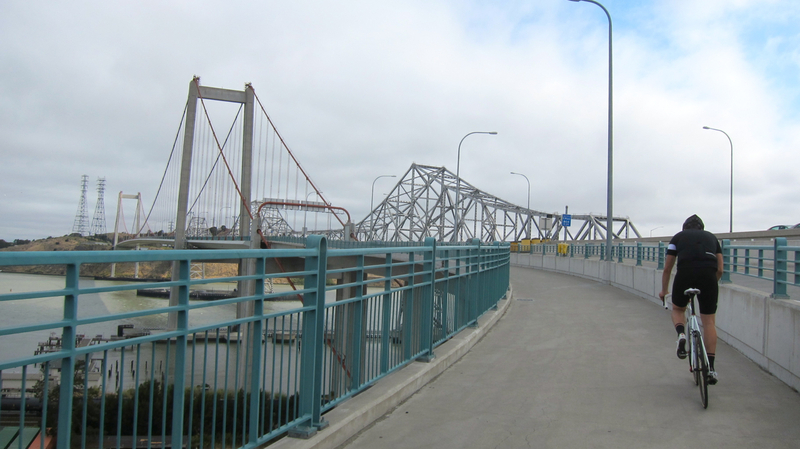 TBO & I caffeined up at Starbucks, then headed out to the I-80 Bikeway that would take us across the bay via the Carquinez Bridge. 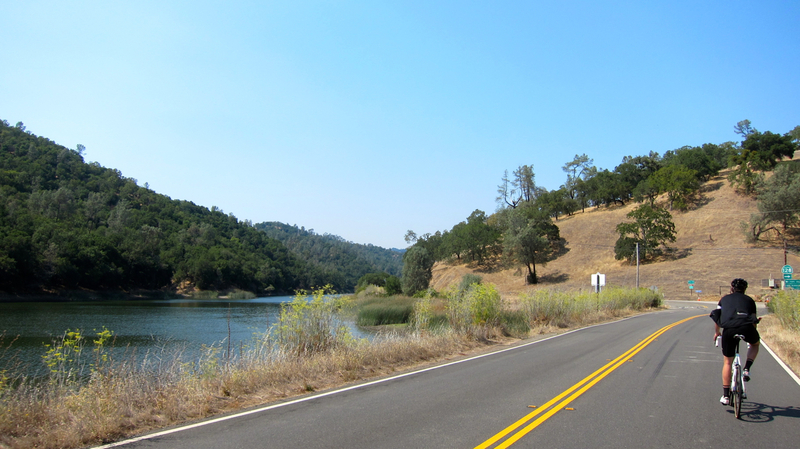 We hadn’t taken some of these back roads that wind through El Cerrito and Richmond before, so it was a refreshing change from the hectic traffic on San Pablo. 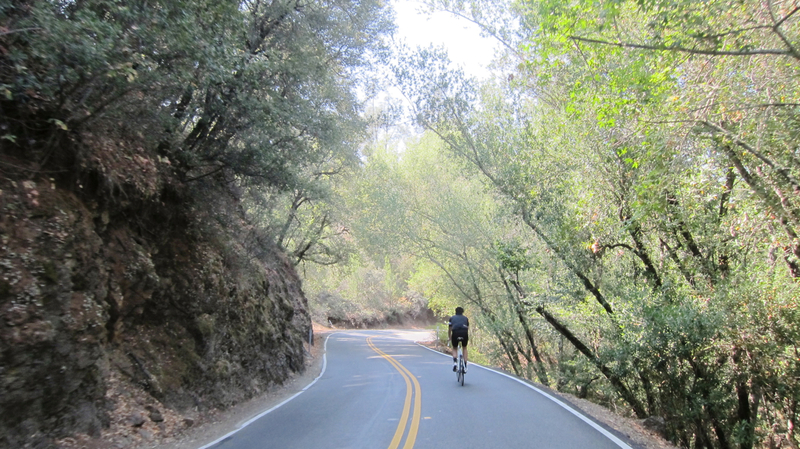 And Lake Herman Road that leads to Benecia was another beautiful road we hadn’t explored either. 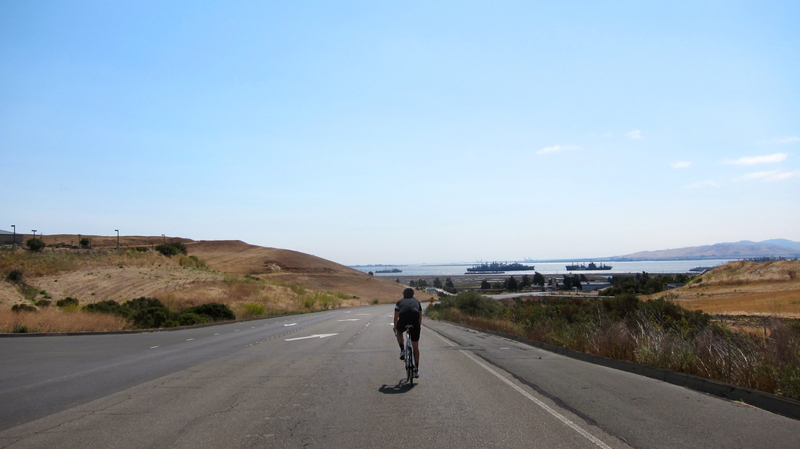 You get a spectacular view of Suisun Bay and the Mothball Fleet as you descend towards the water. For some sad reason, my legs started to cramp around mile 25. 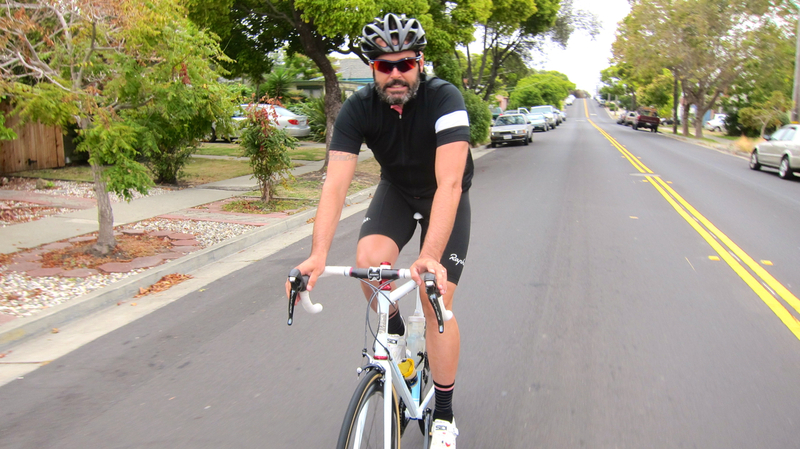 While I was able to maintain a decent pace, they were whining like I had already put in 100 miles. I hoped that our brief stop at the gas station would help with the pain, along with chugging some V8. 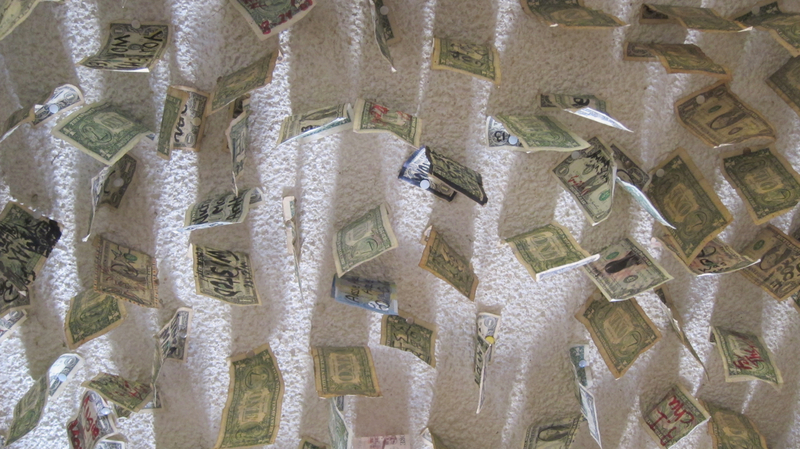 But wouldn’t you know it, their cash registers were down for the next 15 minutes, boo! TBO decided to buy just a bottle of water from the Carl’s Jr. next door so we could get back on our bikes as quickly as possible. 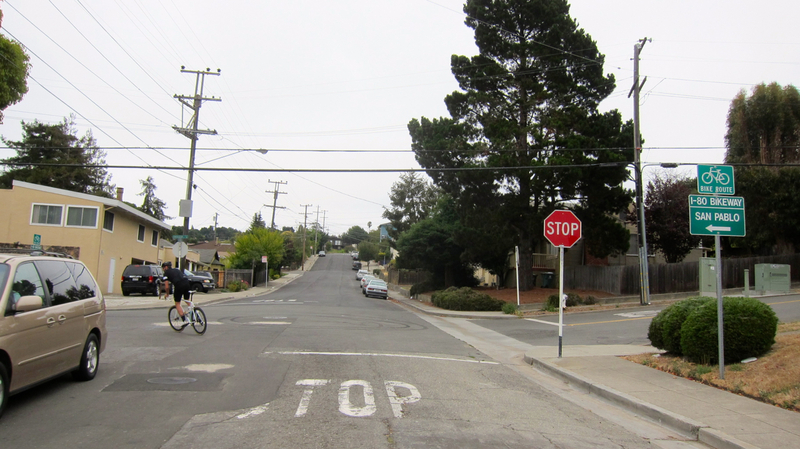 The next road, Lopes, didn’t offer much solace. 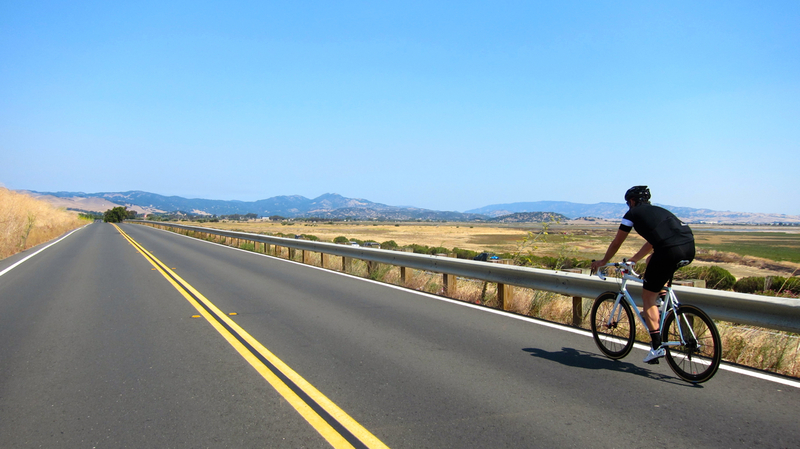 It’s a long, rolling, windy road that runs along the I-680, and you just have to put your head down and grind it out. One highlight: passing through the tiny town of Cordelia, where a colorful train with some cool graffiti was parked on the railroad tracks. 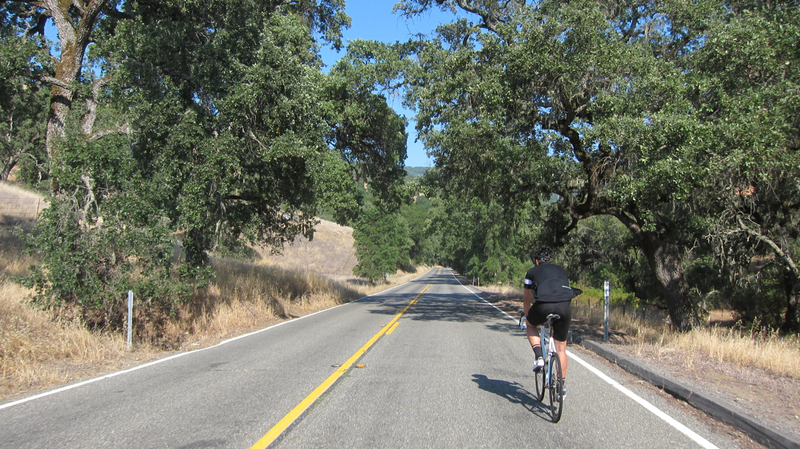 After cruising through the vineyards of Suisun Valley, it was time to climb up CA-121 towards Napa. I had done this ascent earlier this year on the 360k Fleche; my cramping legs were definitely not happy to be reunited with this climb and I crawled my way upwards. 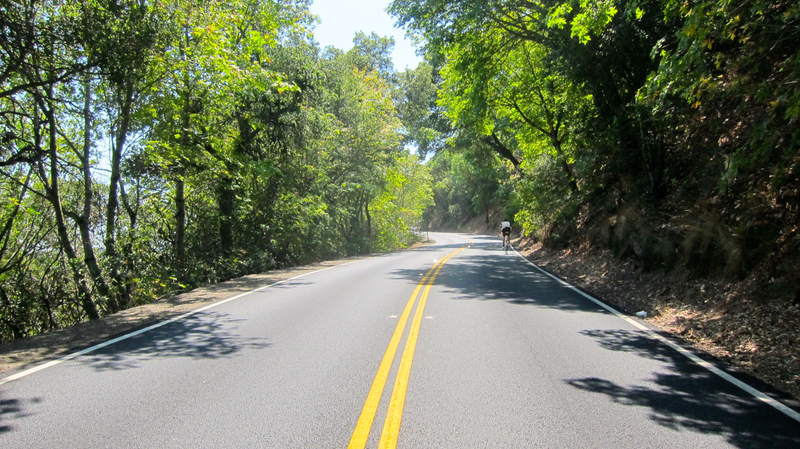 But at the bottom of the descent, we stopped at a convenient store and stocked up on some magical randonneur drugs: the aforementioned V8 and ibuprofen. 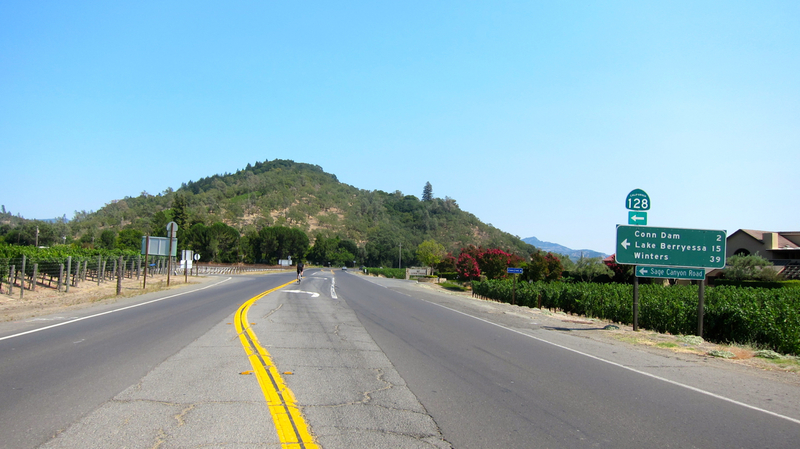 It was just another 20 miles to the quaint town of St. Helena, where we’d stop for lunch. 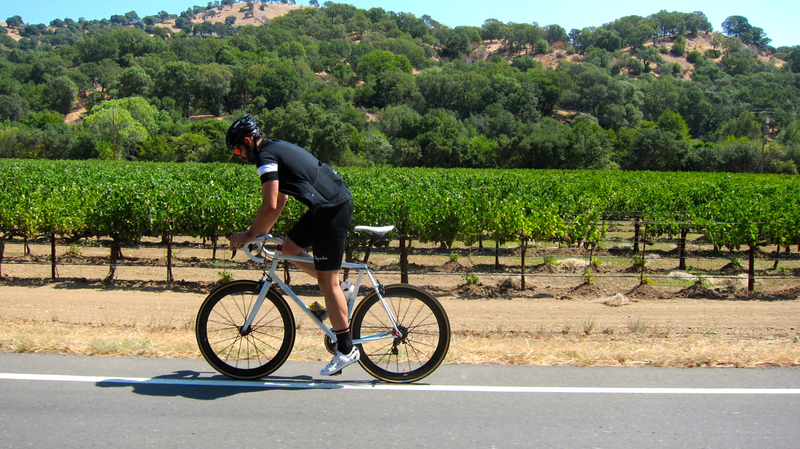 The winds were in our favor and with my drug cocktail kicking in, we made good time through Napa wine country. As we’d only eaten an energy bar apiece since the start of the ride, we were starving. 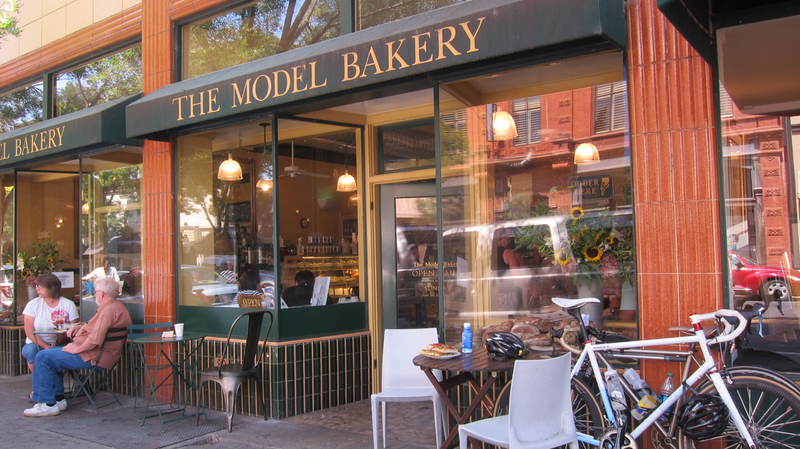 So naturally temporary insanity took hold as soon as I set foot into the alluring confines of the Model Bakery. 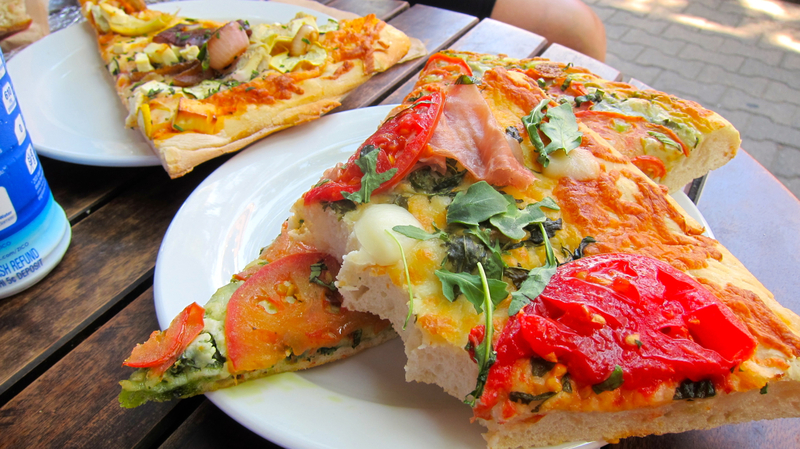 When I saw their fresh slices of pizza tempting me on the counter, I foolishly ordered two for myself — despite the fact that they’re gigantic and one would have been more than enough. And I knew we had more climbing ahead of us, but I figured I’d burn it off quickly. TBO ordered more reasonably and limited himself to one slice (though he did get a sandwich as well.) After gorging ourselves silly on our massive lunch, we managed to snap out of our food comas and set out to finish the last half of our ride. 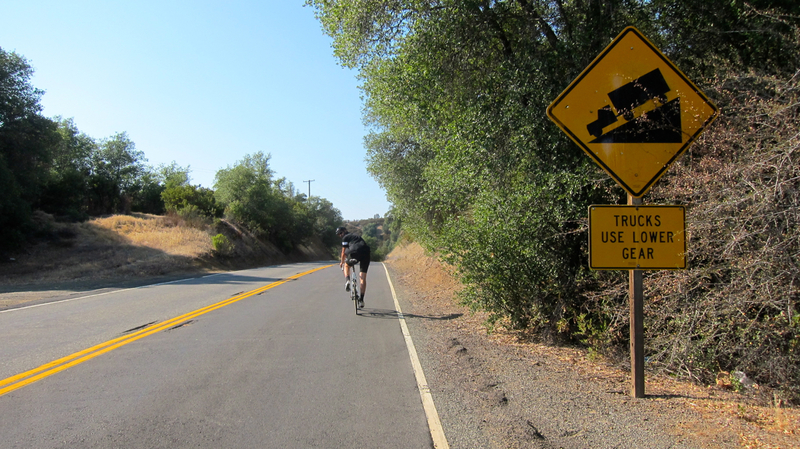 One last set of climbs awaited us that were broken up into 3 sections. Dread set in as my stomach was rebelling from the amount of food I had packed into it. I felt like I was pregnant with twin bowling balls, and I’m pretty sure that the pizza was expanding in my stomach with each pedal stroke. Being hunched over on the handlebars wasn’t the most comfortable position either, as it just added more pressure to my disgorged belly. 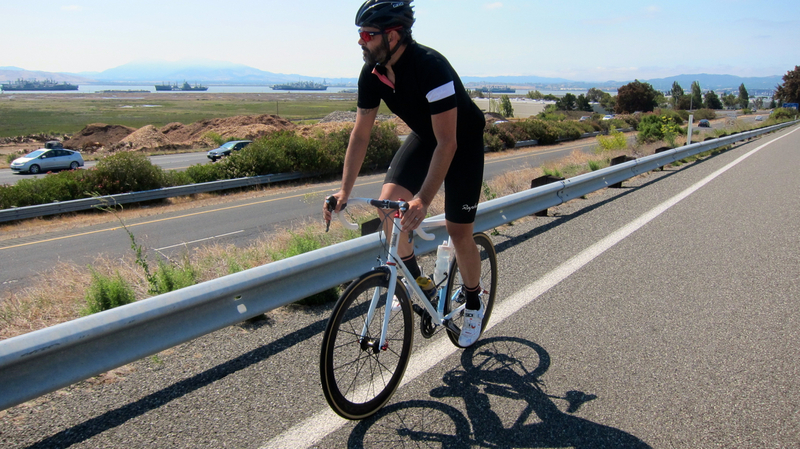 (Clearly I had forgotten all of my good randonneur habits and had forsaken grazing on the bike to greedy overeating…) I slogged along, sweltering in the hot afternoon sun and feeling like utter crap. Passing by the sparkling waters of Lake Hennessy, we were tempted to take a break for a cool swim but decided to soldier on. 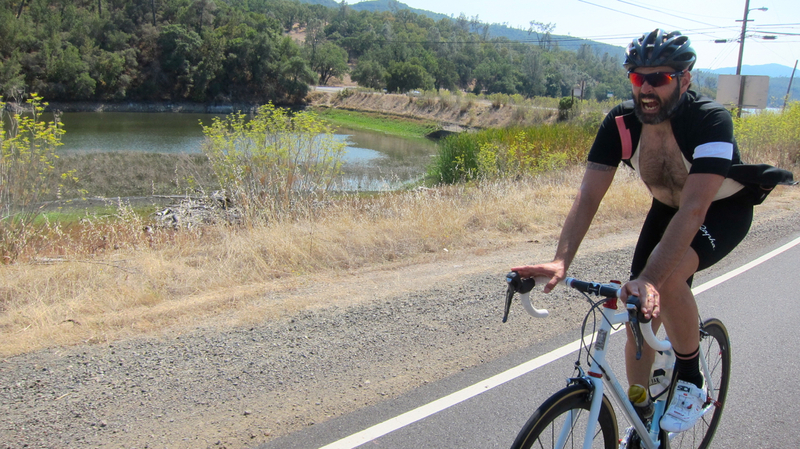 The only positive aspect of this portion of the ride was that this was all new territory for me, so I was trying to enjoy the scenery as much as possible despite my internal agony. We took a brief break at the Turtle Rock Store instead. 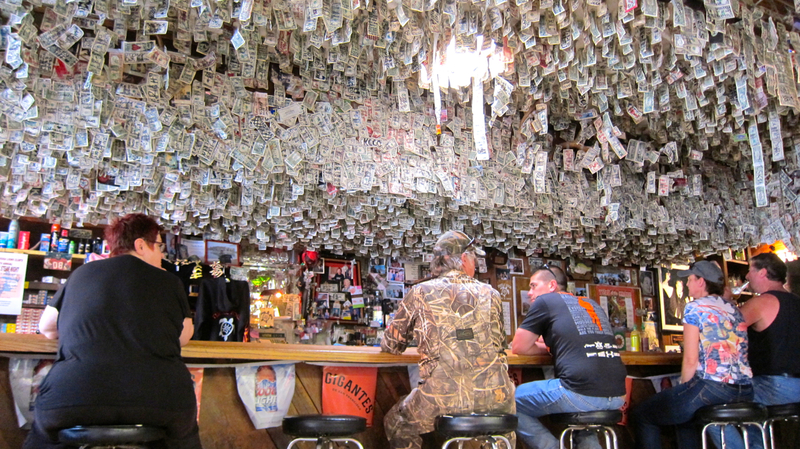 Part shop, part bar — this is a strange oasis along Sage Canyon Road with its ceiling blanketed in hundreds of dollar bills. It’s an amazing spectacle. After getting a super sugary drink in the hopes that it would help me digest my lunch, the second climb was fairly inconsequential. 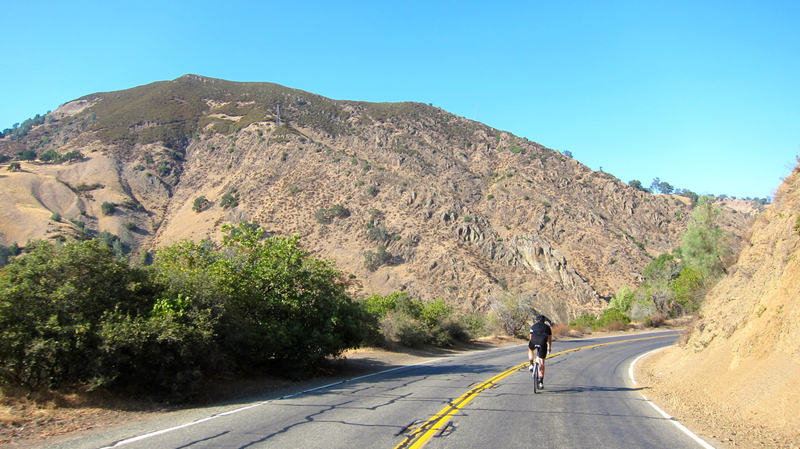 The third climb was a real kicker, but my stomach had calmed down enough that I was feeling somewhat human again. 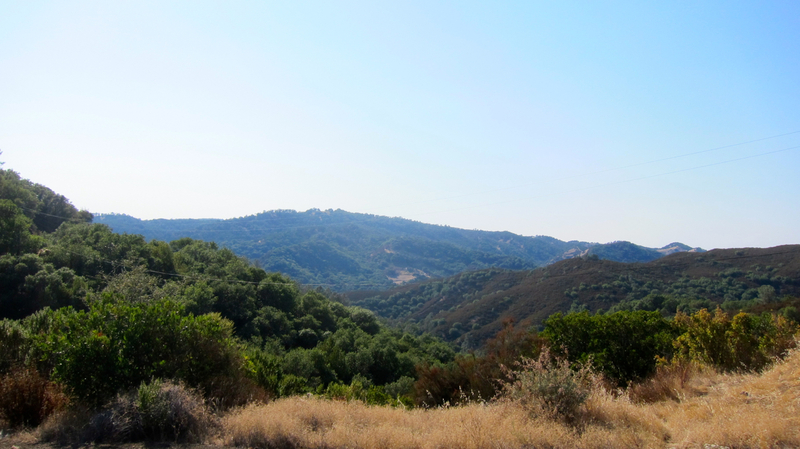 And my legs were feeling fresher, so I was able to tackle the final ascent with no problems. 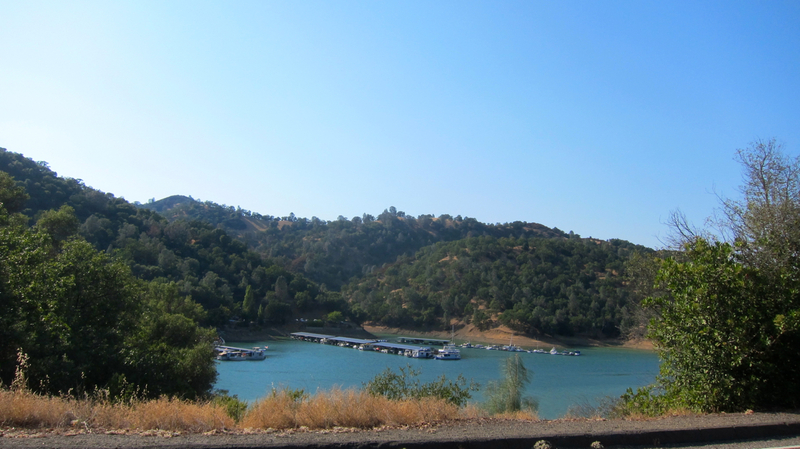 We were rewarded with lovely views of Lake Berryessa and an easy, mostly flat ride down into Winters that ran alongside the picturesque Putah Creek. 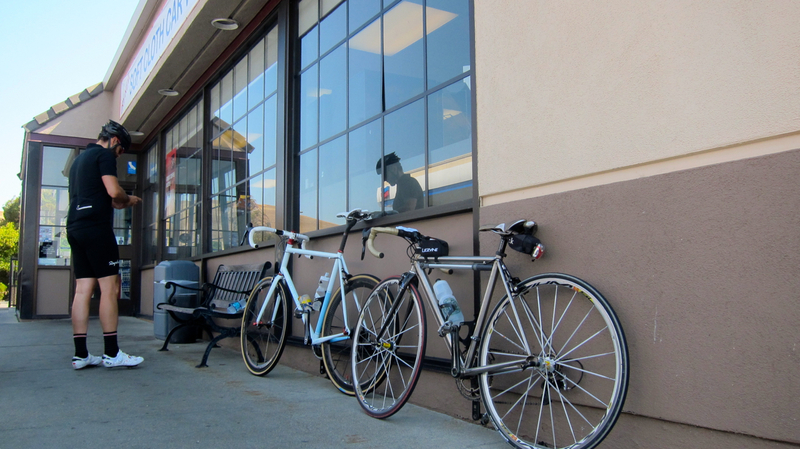 If you ever find yourself in Winters after riding several hours in 85 degree heat, be sure to stop at the Putah Creek Café. 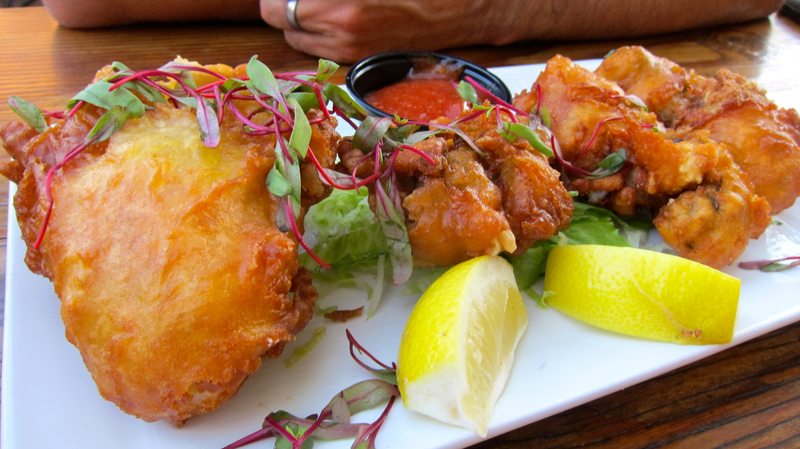 They serve icy cold beers in chilled glasses and humongous fried Pacific oysters. It’ll revive you back into the land of the living. 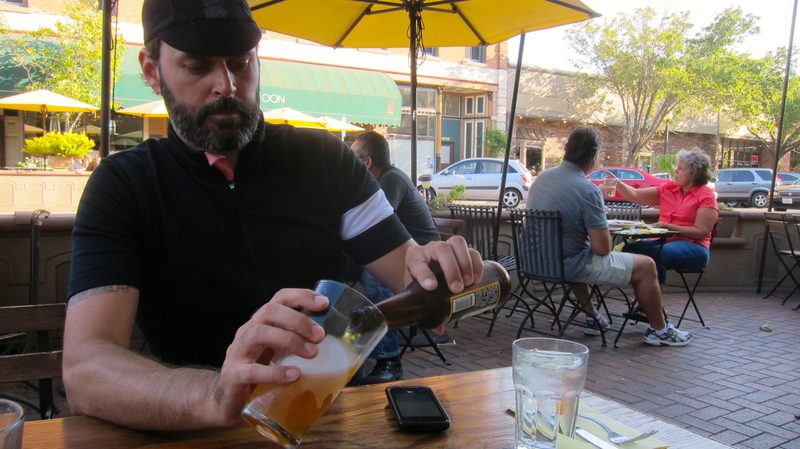 As we relaxed on the patio of the restaurant, we checked the Amtrak schedule and realized that we had less than an hour to catch the next train out of Davis back home. 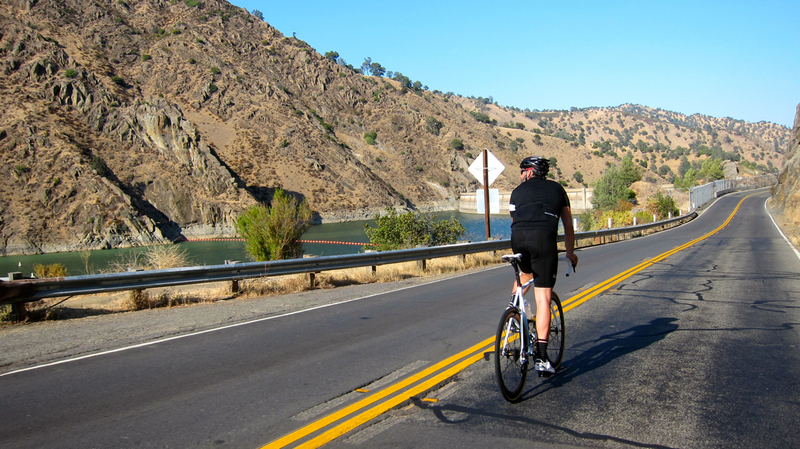 We scrambled back onto our bikes and time trialed the last 15 miles as fast as we could to the station. Phew, made it with 10 minutes to spare! 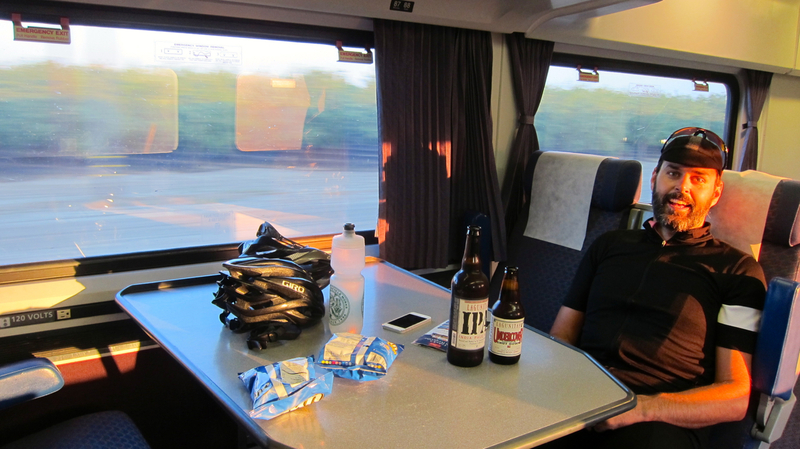 Time to kick back, watch the sunset and have more beer for the 90-minute train ride home.